Betfred Summer Plate Handicap Chase 2m5 1/2f Market Rasen Saturday – Welsh trainer Peter Bowen has an outstanding record in the Summer Plate, winning it four times between 2003 and 2008. Over the last five years he has drawn a blank, but continues to target the contest, so his runners are always worth a second look. Of his two possibles at the time of writing, the 8yo Wadswick Court looks the more likely candidate, but does need five above him in the handicap to come out to get a run. Despite quotes of 33/1 he has shown some promise in his two most recent outings and his price underestimates his chance. He finished second in a Class3 Handicap Chase at Newton Abbot following a five month break on June 21st, and was then sent off the 7/2J Fav to go one better nineteen days later in a similar contest at Perth. Unfortunately he suffered interference from a faller at the 6th but was still in contention when unseating four fences later. Well suited by a flat right handed course, he won’t be inconvenienced by any rain so if getting a run is worth considering. 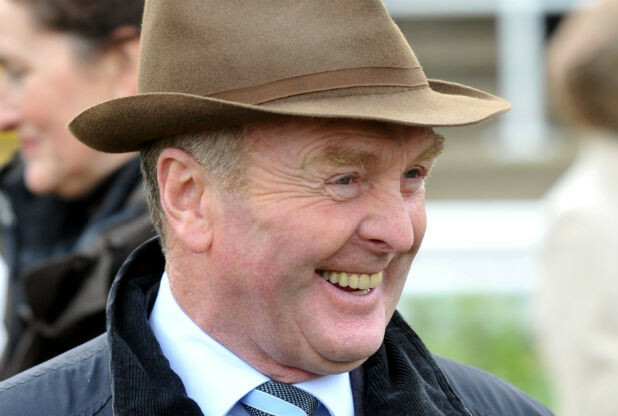 Nicky Henderson’s 6yo Theinval had been placed in all four of his previous runs over the larger obstacles before “bringing home the bacon” in very taking style last time over 2 1/2m at Uttoxeter seven weeks ago. A winner at Class 1 and 2 level over hurdles, he gets into his first handicap chase off his hurdles mark of 144 giving him a nice racing weight of 10st13lbs. Always going to be a chaser, he has won twice at right handed Kempton and looks one for the short list. David Pipe and his father Martin before him, have enjoyed considerable success in the contest, and this year the Pond House operation relies on top weight Ballynagour who, has had an unusual, to say the least, preparation for this. Having failed to complete in the Grand National he was sent to Auteuil for a Grade2 hurdle where he was a well beaten 7th, but last time put up a much better show. He kept on well to finish second over 26f at Uttoxeter off a mark of 152 three weeks ago. However he races off a mark 5lbs higher at the weekend, and I have my doubts that going right handed over Saturday’s trip on decent ground is going to suit. Jonjo O’Neills 6yo Easy Street is another who will need a few above him in the handicap to drop out to get a run, but he does look progressive. He hacked up on his first attempt over fences off a mark of 105 (3m1 1/2f Fontwell June 1st) and then, dropped back in distance to 2m4f, and racing off a mark of 112 at Uttoxeter eight days later, won cleverly from subsequent winner, Casino Markets. Twenty four days later, over Saturday’s course and distance, racing off a mark 13lbs higher, he was sent off the 7/4fav but, racing too freely, he stumbled at the 7th and unseated. If settling better at the week end, off the same mark, he is going to be a danger to all. Jonjo also fields the 2014 winner It’s A Gimme who won off a mark of 132 and now races off a mark of 138. Winnerless since, he made his first racecourse appearance for over twelve months three weeks ago, over an inadequate two miles at Uttoxeter and showed little. However he has been found in the market and with these connections is hard to dismiss. Philip Hobbs (pictured) runs the 5yo novice, Golden Doyen, and this winner of a Cheltenham Grade2 over hurdles looks well treated off a mark of 135 on his handicap debut, giving him a nice racing weight of 10st4lbs. He finished 3L behind Harry Fry’s Henryville on his first run for over four months, despite losing a shoe at Exeter in March, and now meets the winner on 5lbs better terms. He ran another fine race three months later here at Market Rasen (2m3f June 17th) finishing second, and indeed would have gone very close but for hitting the last. The Paul Nicholls trained Valco de Touzaine ran well in this last year, finishing third off a mark of 142 despite a mistake at the 12th. He ran again over course and distance in September but was far too free, and finished 6th. He has only had the two runs since and ran pretty well in the second of them, over three miles at Perth seven weeks ago. In a tactical race he finished a well beaten third but was in contention until two out. If tidying up his jumping it would come as no surprise to see him involved at the business end. This is certainly the right way around for the Tom George trained 6yo Cernunnos who has run some of his best races at tricky right handed Kempton, and off a mark of 135 isn’t badly treated. He hasn’t been seen since being pulled up at Aintree over 25f but reverting to what is probably his optimum trip and coming from a stable in form is worth considering. Jonjo O’Neill has had two wins and three placed from fourteen runners over the last ten years, and is represented by two with strong credentials in this year’s renewal, Its a Gimme, and Lost Legend. You certainly had a few heart stopping moments if you backed last week’s selection, Muhaarar in the July Cup. He didn’t act too well on the early downhill part of the course and got unbalanced, but once he hit the rising ground he fairly motored, and deservedly got his nose in front on the line. It’s unlikely Saturday’s Summer Plate at Market Rasen will be decided by such a narrow margin, but being such a tight and competitive handicap I guess you never know. Having had a winner and two placed from nine runners in the past decade, David Pipe’s 6yo Dell’ Arca is worth considering. This very useful hurdler, winner of a Cl1 Gd3 contest at Cheltenham in November 2013 and rated 145 in that discipline, has had only three runs over the Larger obstacles. He came good last time when winning a 2m4f novices chase at Uttoxeter at the end of May. This ex French geldings future lies over fences, so racing off a mark on Saturday, 3lbs lower than over hurdles, he must come into the equation. Considering the hugely talented Gordon Elliott failed to get a win out of the 8yo Flemensfirth Mare, Pumped Up Kicks, in sixteen attempts under rules, her new handler, Dan Skelton has performed miracles in producing her to win two of the three races she has contested since joining his terrifically successful operation. She was impressive when, despite making a mistake at the last, she trotted up in a Cl1 listed novices chase at Cheltenham in April, and followed up a week later at Warwick off a mark of 128. While she does seem inexperienced for Saturday’s test, she handled both Cheltenham’s and Warwick’s jumping test with aplomb, so off a mark of 132 she is shortlisted. Jonjo O’Neill has had two wins and three placed from fourteen runners over the last ten years, and is represented by two with strong credentials in this years renewal, It’s a Gimme, and Lost Legend. Winner of last years race off a mark of 132, It’s a Gimme had just the one race ( finished 16th in the Galway Plate) before retiring for the season. He has had two runs this year and ran a very promising race last time finishing a close second over an inadequate 2m1f at Stratford off a mark of 140. Obviously going the right way, he seems to have been trained by the uber shrewd O’Neill with a repeat performance in mind, and just 3lb higher than Stratford is shortlisted. Lost Legend has won twice over Kemptons flat right handed course so Market Rasen should suit. He last won in January ( Kemptons 2m4f sft) off a mark of 139. He has subsequently been campaigned over further and been disappointing but those defeats leaves him looking well handicapped on a mark of 141. He handles any ground so any market moves should be heeded. The Paul Nichols trained Aerial was going well in a Perth handicap five weeks ago off a mark of 130 when coming down at the third last. He races off the same mark at the weekend, and considering that he has won off a 19lb higher mark three years ago, has to be of interest. However he hasn’t won under rules for over nineteen months, so perhaps a place is the best that can be hoped for. Twice a course winner over hurdles, the Nicky Richards trained 6yo Gold Futures is progressing nicely over the larger obstacles. On only his second outing over fences ( Hexham 2m4f 6th June Gd ) he jumped soundly and won comfortably in a truly run race. Last time out, again at the same venue, he put up a very good performance on the clock, when jumping well, over an inadequate 2m, he was run out of it by Vodka Wells. Racing on Saturday off a mark of 130, giving him a nice racing weight of 10st7lbs, he is well worth considering. Warren Greatrex’s Baby Mix is closely handicapped with Philip Hobbs’ Carrigmorna King but looks the more progressive of the two. At the Punchestown Festival he ran a fine race to finish second in an eighteen runner handicap chase (2m4f) and in his next race ( Stratford May 17th 2m4f) racing off a mark of 139, he was beaten 1/2L by Carrigmorna King. Now 3lbs better off with the Hobbs horse, and travelling right handed, (to which he seems particularly well suited) this progressive 7yo racing off a mark of 140 must have a great chance of being involved at the business end.